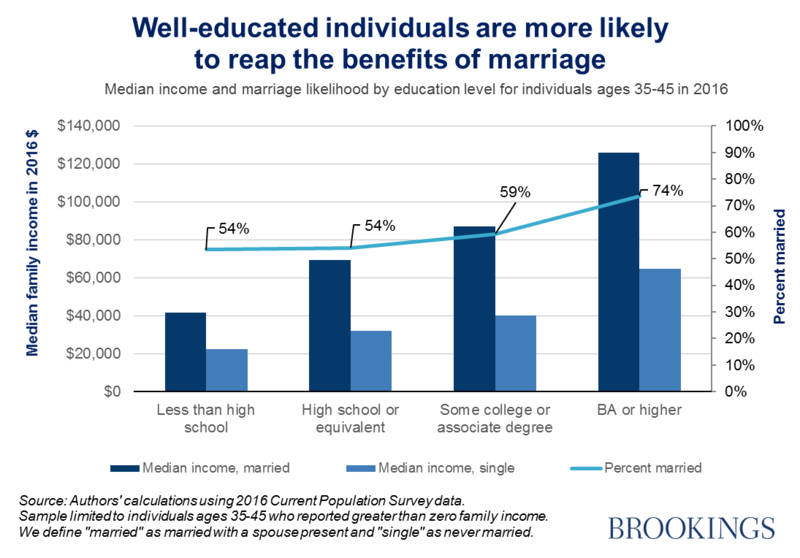 Young Americans value commitment over marriage: But can you have one without the other? So, women’s earnings are now a closer to men’s—and especially to the men they are married to. This has further fueled family income inequality. Our colleague Gary Burtless finds that 13 percent of the rise in adjusted personal income inequality between 1979 and 1996 occurred because of an increase in the correlation of spouses’ earned incomes. 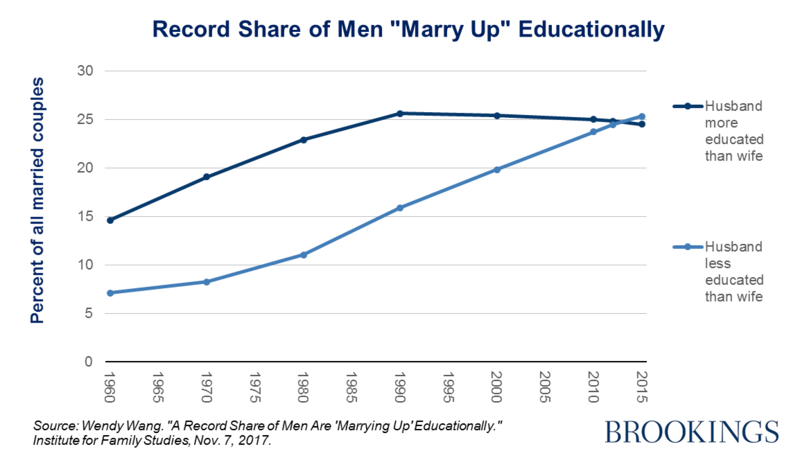 Similarly, Christine Schwartz estimates that if the correlation between spouses’ earnings had not increased, the rise in inequality of earned income among married couples from 1967 to 2005 would have been about 25 to 30 percent less. 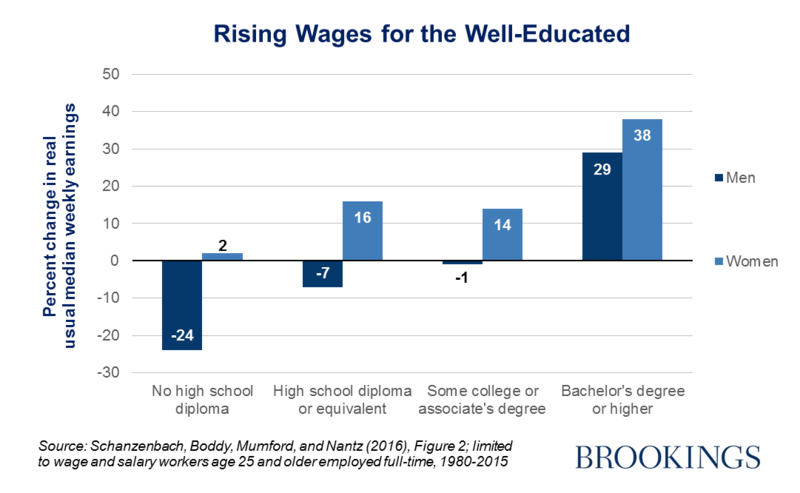 The combined effect of these four factors combined—increased educational attainment among women, rising labor market returns to education, the marriage gap by education level, and assortative mating—has been to push up income inequality at the family level. Income inequality is then being driven, at least in part, by forces that most commentators would welcome, including dramatic improvements in women’s education (though concurrent declines in men’s education are less welcome), or which lie well beyond the reach of public policy, such as our apparent preference for a similarly-educated husband or wife. Inequality results from a complex mix of social and economic factors; a fact that policy makers would be wise to remember.